Open with your best gag. Finish with your second best. Make sure your face matches the material. Sell your routine . 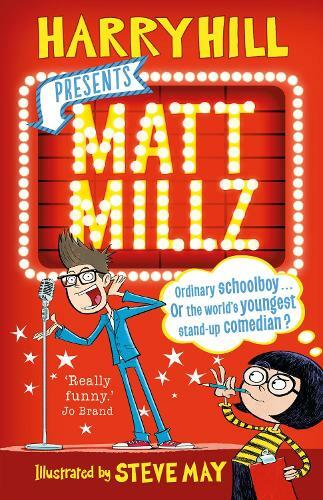 . . Matt Millz LOVES stand up comedy. He's studied the best. He's memorized all the advice. He spends hours writing new gags and thinking up crazy sketches . . . So when the school run a talent contest, of course he's going to enter. What he doesn't count on is: Last minute total meltdown His best mate pulling out zero seconds before going on Teeny tiny Kitty Hope and her own bonkers ambitions His stepdad's own 'funny' ideas And headmaster, Meredith Pavey, who very definitely has it in for him. Comedy gold from a comedy genius.